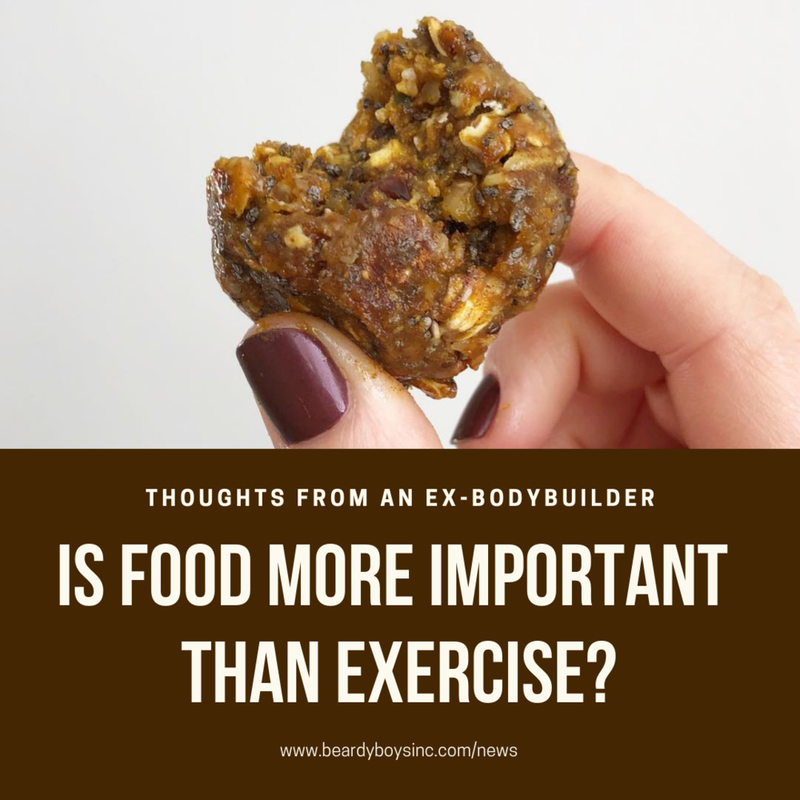 Is Food More Important than Exercise? Thoughts from an Ex-Bodybuilder — Beardy Boys, Inc.
Ah, the age-old debate! Which is more important: food or exercise? In this article, we take a look at this question from the viewpoint of an ex-bodybuilder. Perhaps food isn’t your archenemy after all! When you’re working on shedding a few pounds and living a healthier lifestyle, food can seem like your archenemy. It feels like even just a few calories can shatter all the progress you made in the gym. Some develop unhealthy relationships with food because of this, which can be potentially life-threatening and very dangerous for your body. For many, the focus is on how many hours they’re putting into the gym, instead of how many fruits and vegetables they ate that day, glasses of water they drank and the nutritional value of their diet. Diet vs. Exercise: Which Matters More and Why? It might sound counterintuitive at first, but in the end, what you eat either helps you out or stops you from progressing on your fitness journey. It doesn’t matter what shape you’re in, either - this applies to anyone and everyone across all lifestyles. Healthy, nutritious, good food isn’t your enemy! Filippone explains this is the main reason he decided to become a professional chef. He wanted to help out his friends who were in the bodybuilding industry by preparing tasty, nutritional meals to match their dietary needs and complement their workout routines. No food hating required. Whether you’re skinny or obese, physically fit or a bit of a couch potato, a diet consisting of fructose, sugars and starchy, carbohydrate-dense foods damages your body and counteracts any benefits gained from physical activity. Adversely, a diet consisting of natural, minimally-processed, whole foods and high-quality proteins (like Beardy Boys!) supports your health and efficiently fuels your workouts, so you get the most out of every one. Learn what healthy eating really means! Include as many wholesome foods into each meal as possible. Enjoy healthy meals and snacks that easily fit into your daily routine. Meal prepping helps! Make healthy eating a lifestyle, not a temporary solution. Consult your health professional and Increase physical activity at whatever level is appropriate. A healthy diet can and will change your life. Eating well affects every single aspect of your life - once you make the decision to focus on nutrition, you’ll feel differences almost immediately. You’ll experience feelings of well-being, more restful sleep, a healthy or healthier number on the scale and stronger muscles/bones. Of course, genetics plays a role in your health as well, but that doesn’t need to determine your lifestyle. Maintaining a healthy diet and pairing it with physical activity helps decrease symptoms, reduce risks and set you on the path to a longer, more positive future. Your health is in your hands - what does your health say about you? How do I start eating Healthier? Cut out fast food and limit days eating out. Take a few minutes to meal prep healthy meals on the weekends. Substitute junk food for healthier snack options. Limit processed foods. Make it a point to eat at least one fruit and veggie every day. Shop our organic pecan butters - nutritious, delicious and full of goodness. Eating healthy isn’t hard, especially when it tastes so good!